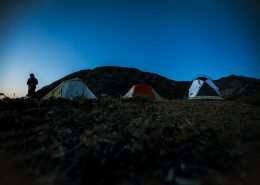 A backpacking trip where you get off the beaten track! 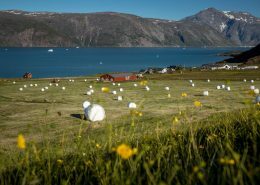 Experience life at sheep farms, settlements and the town Narsaq. 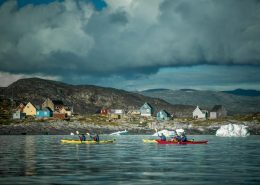 8 day excursion, kayaking and on foot: complete contact with nature, kayaking and hiking activities, discover Viking ruins in South Greenland. 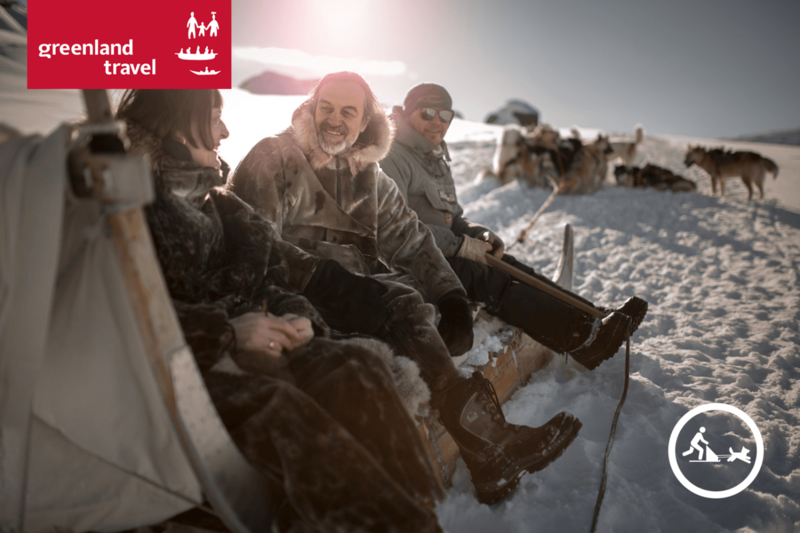 An expedition using very quite means of transport: hiking boots, mountain bike & kayak, surrounded by icebergs. 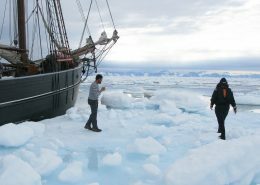 12 day trip from July to Sep.
Tasermiut fjord Big Walls called "the Arctic Patagonia", hot springs, glacier camp, navigation among icebergs. 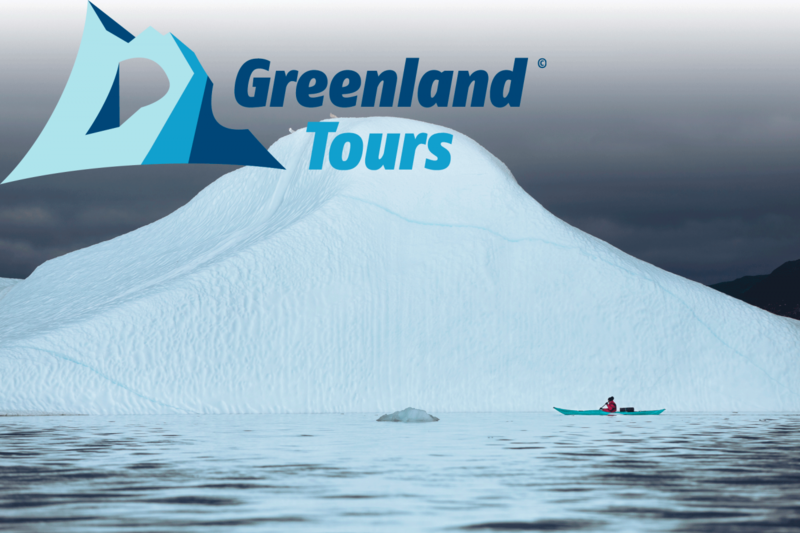 15 day trip from June to Sep.
Navigate among fiords, icebergs, peculiar ice formations and spectacular glacier fronts. 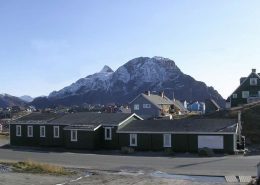 Vandrehuset.com is located in Nuuk and consists of 3 houses with free access to internet. 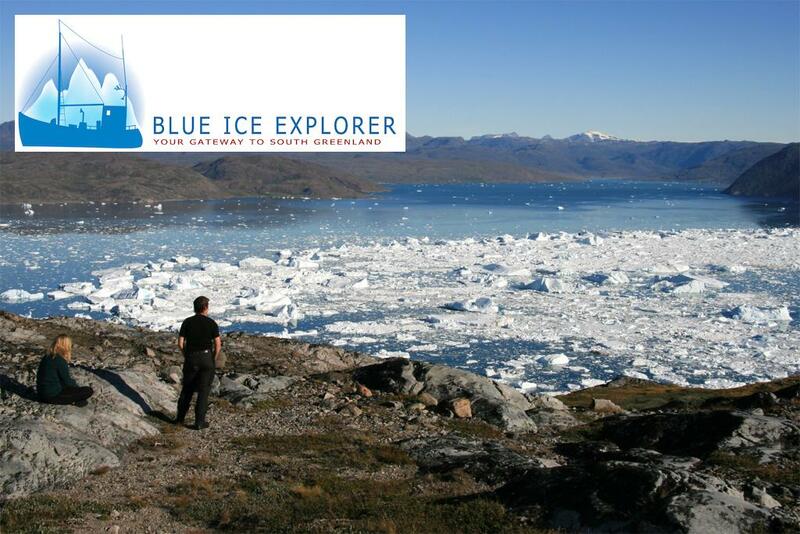 Blue Ice Explorer specialises in package tours and also organises other travel arrangements for individuals and groups in southern Greenland. 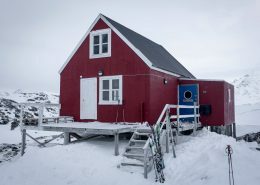 Gardar Hostel is a cosy hostel located near the shop and harbour and run by Blue Ice Explorer. 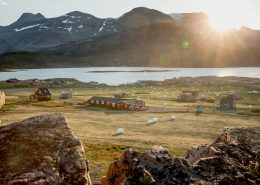 Gina's Guesthouse is a cosy, newly refurbished accommodation in a quiet setting at the heart of Upernavik. It is close to everything in this small town. Hotel Centerbo offers good, cheap accommodation in a central location. It has twelve well-appointed 1-bedroom apartments with everything you need. 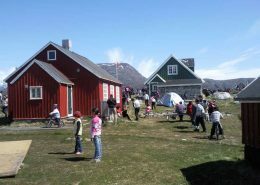 Illunnguujuk Hostel is a family run hostel housed in what was once an old farmhouse. It was refurbished in 2004 and is still being developed. 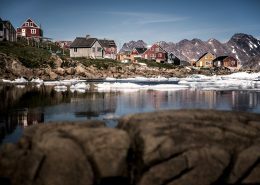 Ilulissat youth hostel is in the town centre, a short walk from the shops, cafés and the harbour, and just 45 minutes by foot from the Ice Fjord. 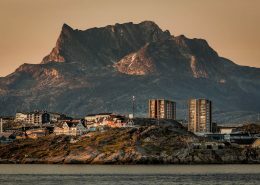 Inuk Hostels is located a stone's throw from the sea with a magnificent view of the Nuuk fjord, and within a reasonable walking distance to downtown Nuuk. 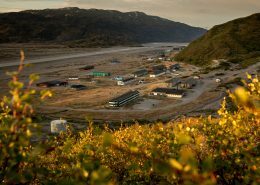 Kangerlussuaq youth hostel is the newest and cheapest youth hostel in Kangerlussuaq. 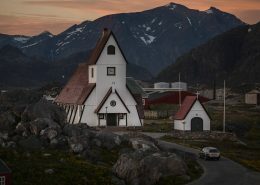 It is owned by Sisimiut youth hostel. 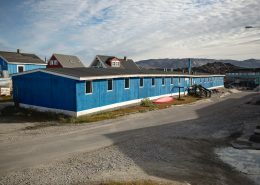 The Knud Rasmussen Folk High School in Sisimiut is an educational institution which also offers overnight accommodation. 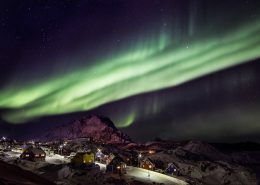 Kulusuk Hostel is run by Icelandic Mountain Guides, an adventure tour operator in both Iceland and Greenland. Nanortalik Youth Hostel is located in Mathildes Hus which is a lovely old building located next to the museum in the old part of Nanortalik. 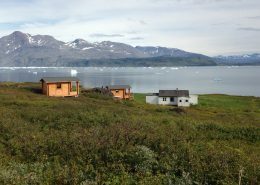 Narsarsuaq Hostel is a modern hostel with a large kitchen and living room. It can sleep 36 people in nine 4-room dormitories. 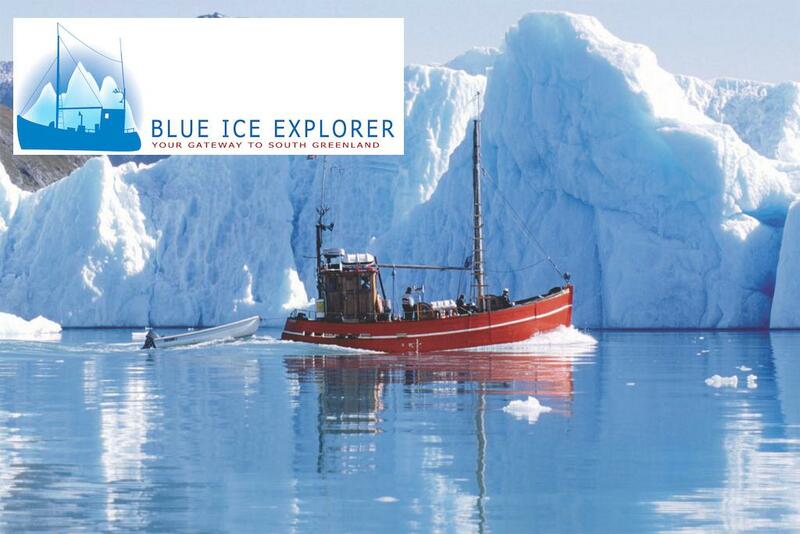 North Greenland Adventure specialises in any tourism relating to the settlements around Ilulissat. 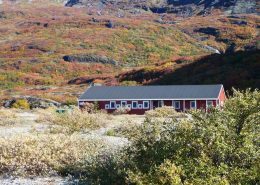 Old Camp is a youth hostel which is 2 kilometres from Kangerlussuaq Airport. The rooms overlook Kangerlussuaq and Søndre Strømfjord which is Greenland’s longest fjord. 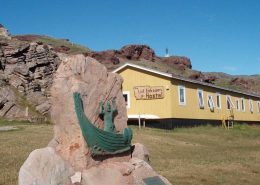 Not far from the little harbour in Qassiarsuk is the Leif Eriksson Hostel. 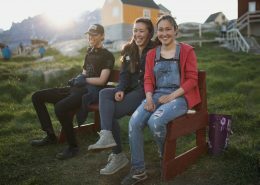 The hostel is situated in the little settlement of Tasiusaq which overlooks the extraordinarily beautiful Tasermiut fjord. 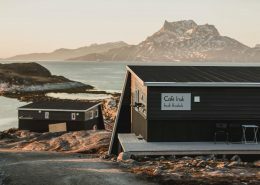 Restaurant H8 Oqaatsut accommodates guests for whom a cosy authentic Greenlandic experience is worth more than the mod cons most of us take for granted. 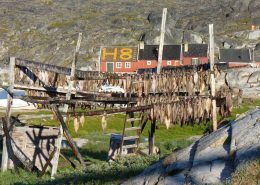 Sisimiut youth hostel does not just offer accommodation but also organises excursions and tours. 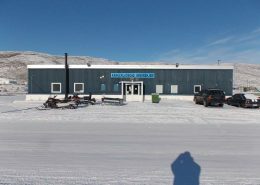 Polar Lodge, which is owned by Albatros Arctic Circle, is one of Kangerlussuaq’s newest overnight accommodation centers and was built in 2006. 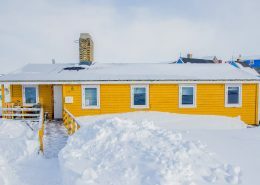 Hostel accommodation in Aasiaat offering double rooms and single rooms with shared facilities, as well as kayak rental. 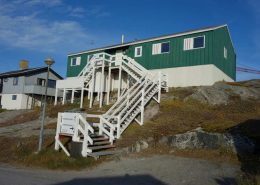 Nuka Hostel is a youth hostel located in the center of Ilulissat. The hostel is close to shops and cafés. 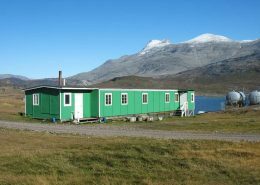 Accommodation in Aasiaat. 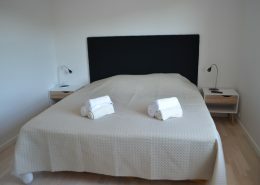 Centrally located guest house with single rooms, double rooms and family apartments. 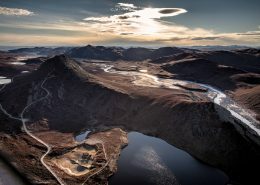 The settlement Qassiarsuk is an agricultural destination for hikers and a visible meeting place between Norse culture and modern-day sheep farmers. 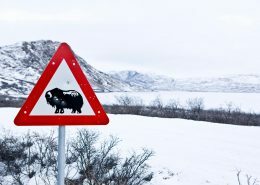 Narsarsuaq is the gateway to hiking trails through lush valleys and Norse ruins spotted along a deep fjord. 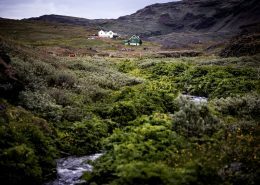 Igaliku is a versatile, family-oriented, open-air destination with Norse ruins, modern agriculture, sheep farms, and many hiking opportunities. 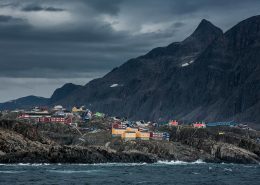 Narsaq is the most striking agricultural town in Greenland situated in a fjord system known for hiking, mineral deposits and cowboy history. 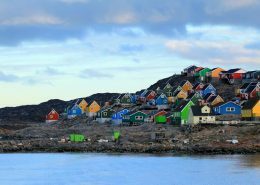 The largest town in South Greenland gives you art, culture, Norse history, boat tours, hot springs, kayaking and hiking trips. 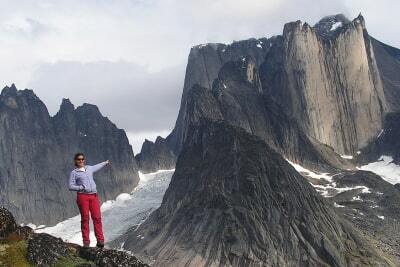 Vertical walls and pristine waters in Tasermiut Fjord make an adventurer’s imagination run wild while city sightseeing bring you down to earth. 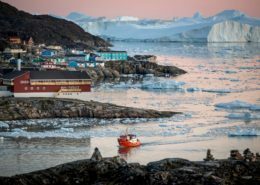 Tasiilaq is the largest town in Eastern Greenland and the gateway to pretty much every kind of adventure that Greenland offers. 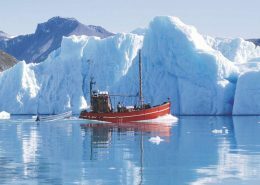 Kulusuk is the gateway to many different types of adventure-based activities for both summer and winter in East Greenland. 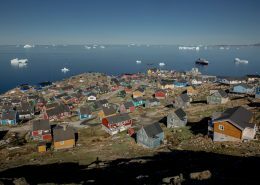 Sea ice makes this the most isolated town in Greenland, where dog sledding, expedition cruises and wildlife dominate the opportunities for adventure. The heart of a nation. 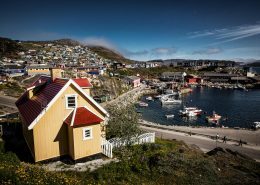 Greenland’s largest city and capital is fueled on fresh air, strong coffee and diverse personalities. 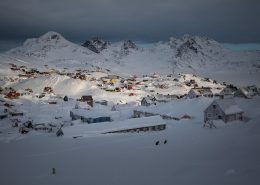 Backcountry sports and Arctic adventures in Sisimiut are the perfect answer to a pursuit for cultural discovery and pure natural settings. With the mouth of the fjord sitting on the far western horizon and the ice cap knocking at the door, all roads lead to the backcountry. 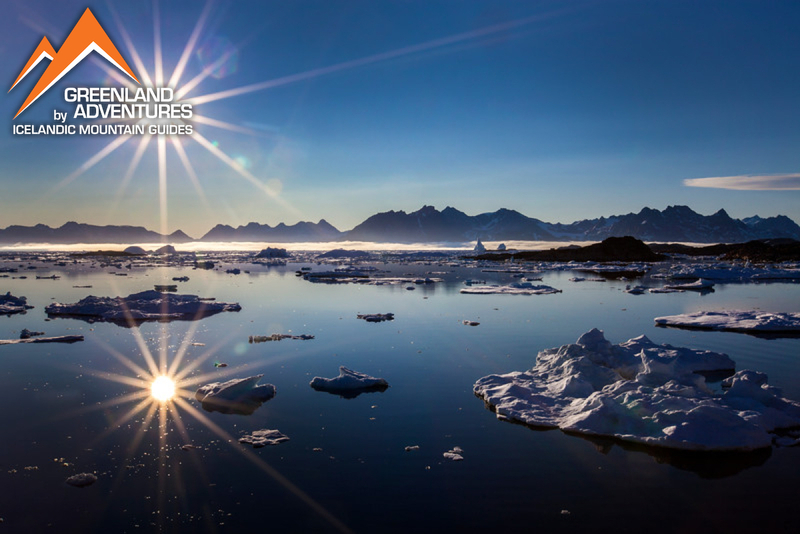 The land of a thousand islands gives nature lovers many ways to discover the southern boundary of Disko Bay. 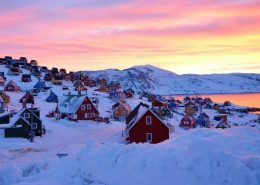 Nature, dog sledding, and cultural exploration await you in this iceberg paradise. 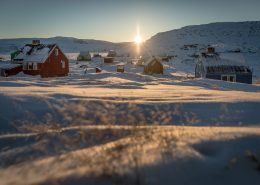 A welcoming dining table and a variety of nature experiences bring village camaraderie in Oqaatsut and the daily life of fishermen into close view. 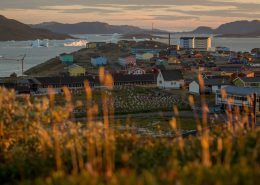 A mass of small islands, villages, and natural sights are close enough for you to reach, making Upernavik a perfect do-it-yourself destination. 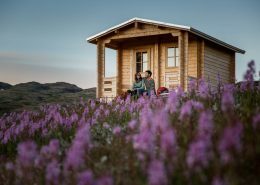 Pitch a tent in the Arctic tundra or hide away in huts overlooking calving glaciers - the choice is yours!